Occasionally, there are musical artists who actually produce art. While that might sound confusing, the truth is that many artists produce albums to generate income or, to say the least, keep their label happy. The beauty of independent artists is that they tend to make music because of the joy that good music produces. Nevertheless, some of these individuals don't have the funding or knowhow to produce what many, and even themselves, might consider to be "good, quality art." 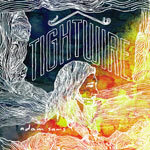 However, indie artist Adam Sams without a doubt created a masterful work of art with his full-length debut album, Tightwire. The album opens with the introspective "Progress." The music is reminiscent of artists such as Bon Iver or Iron and Wine, with a slightly cleaner sound. His voice has a very smooth yet poignant sound and is complemented with perfect harmonies. As Adam sings, "Let their be progress in my bones, progress and not just maintenance," it resonates with encouragement and hope with a dash of conviction. This same tone is kept throughout the album with songs like, "Well Run Dry," "Put Your Title Down," and "Gripping the Reigns." For those seeking a softer side, the tenderness of Adam's voice is flawless on songs like, "Hold Me Together" and "Wondering and Waiting." The music complements the vocals magnificently without a hint of it feeling overpowering. "Billboard Trends" features a more aggressive sound while giving a gentlemanly backhand to commercialism and entitlement. From start to finish, Adam Sams gives listeners what they want and need: entrancing songs with a well-structured flow from track to track. There is honestly not a single glaringly obvious flaw with the album. It is a rare occurrence that an album can be so perfectly done; he has given listeners not just something new to listen to but a breath of fresh, artful air. His lyrics are deep without over-reaching, his music is simple and beautiful, and his voice is enthralling. This is without question some of the best music that has come out as of late. If more well-known artists made music of this caliber, the CCM scene might actually have something to offer besides the repetitious recordings that rule the radio. Bravo, Mr. Sams; your art is inspiring, insightful, and most definitely entertaining.